The United States tax code, as complicated as it is, is abounding in ways to avoid taxes. Even with that, according to estimates from the Tax Policy Center, nearly 77 million people will pay no federal income tax in 2018. That equates to nearly 45% of all Americans...paying no federal income tax. And for those that do pay income tax, there are plenty of ways to avoid or reduce their tax bill. In the first four in the list, the first word before the comma describes the money going into the account and the second word describes the money as it is withdrawn from the account. Inside of these categories, there are different methods and account types that grant these tax advantages. Continue reading below to see what they are. A traditional IRA is an investment vehicle by which dollars are contributed before tax. As the traditional IRA grows in value, the growth in the account is tax deferred. This means that taxes will not have to be paid until money is withdrawn from the account. Many different investments can be held inside a Traditional IRA but the most common are bonds, stocks, and mutual funds. A traditional IRA can be opened online with any number of online brokers. Money withdrawn before age 59 and a half will pay an early withdrawal penalty. Note #1: Since taxes are due when money is withdrawn, it is important to manage taxes in retirement as money is being withdrawn. Withdrawing too much money from a traditional IRA will cause a person to graduate to a higher bracket. Note #2: Tax deferred accounts are good if one thinks taxes will be lower in the future than they are today. Since the future is uncertain, it is important to have a diversified tax strategy. A 401k is named after section 401(k) of the IRS tax code where a 401k is described and the rules are laid out. A 401k is an investment vehicle offered by employers to employees where employees can contribute a portion of their check into a retirement account automatically. Today, it is common to have the choice of putting money into an after tax account called a Roth 401k or a before tax account called a Traditional 401k. Inside of these accounts, one has the investment options agreed upon between your 401k provider and the employer. This usually includes a list of mutual funds. Note #1: Sometimes, it is wise to contribute money into both a Roth 401k and Traditional 401k in order to diversify the tax strategy. However, if you want to choose just one, the Traditional IRA may be a better choice since it defers taxes to the future giving the money more time to grow. After all, future tax policy is uncertain. Note #2: Early withdrawals from a 401k will incur a penalty from the IRS. However, employers often offer 401k loan programs to help those who need 401k money for an emergency. A fixed annuity is a savings vehicle with many of the same attributes as a certificate of deposit(CD). They provide a fixed rate of interest and a fixed principal amount until the money is withdrawn. Unlike CDs however, they offer tax deferred growth. Similar to traditional IRAs, the money cannot be removed before age 59.5 without penalty from the IRS. Note #1: Fixed annuities can charge a surrender penalty for removing funds from the annuity before the agreed upon time period. The investor usually has the option of somewhere between 1 to 10 years to commit the funds. Note #2: Fixed annuities are insured by state guaranty associations similar to how Bank CDs are FDIC insured. Check with the state that the fixed annuity is from to determine the amount of insurance provided. Variable annuities are similar to fixed annuities in that growth in the account is tax deferred. The difference between the two is the investments offered inside the annuity. Variable annuities allow stocks, bonds, and mutual funds to be held inside the annuity. These investments will provide varying returns rather than a fixed rate of interest, which is why it is called a variable annuity. Note #1: A variable annuity's value will fluctuate with the investment that is held inside the annuity. However, VA's can provide features called "riders" that can act as protection against volatility and the loss of principal. A Roth IRA is similar to a Traditional IRA in that it is an Individual Retirement Account(IRA) that lets you contribute money each year. It differs from a Traditional IRA in that it contributes money that has already been taxed and when that money is withdrawn from the IRA, no taxes are required on interest or growth earned on the account, regardless of whether it came from capital gains, dividends, or interest payments. Just like the traditional IRA, money withdrawn before age 59 and a half will incur an early withdrawal penalty from the IRS. Note #1: The Traditional IRA was introduced in 1974 with the Employee Retirement Income Security Act of 1974(ERISA) but the Roth IRA wasn't introduced until 1997 with the Taxpayer Relief Act. This one may seem a little morbid, but let's face it, life insurance is something everyone should have. Although the benefit is never enjoyed by the person owning the death benefit, it is paid out to beneficiaries tax free nonetheless. To the IRS, life insurance benefits are viewed as a return of premium to the beneficiaries of the people who contributed the premiums. Therefore, the IRS does not tax life insurance death benefits. Note #1: Death benefits when passed on as part of an estate, may still incur estate taxes if the taxable estate limit is breached. Talk to your tax advisor to gain specifics. A 529 college savings plan is a tax advantage vehicle that helps families save for college for their children. Contributions to a 529 college savings plan are contributed post tax but growth in the account can be withdrawn tax free as long as the proceeds are used for qualified education expenses. This can include things such as K-12 tuition, college tuition, college books and fees, etc. The beneficiary on the 529 account can be changed until the money inside the 529 is fully used. This helps in the event that not all of the funds are used on one child, they can be carried over to the next. Money withdrawn and not used for qualified education expenses will pay the deferred tax bill in addition to a 10 percent penalty to the IRS. A Coverdell ESA works almost exactly like a 529 savings plan. The two primary differences are how much money can be contributed each year and what is considered a qualified expense. For a Coverdell, a person can only contribute $2,000 per beneficiary and a 529 allows up to $15,000 per beneficiary. The other difference is a 529 can only be used for K-12 tuition(the definition for qualified education expense broadens post K-12) while a Coverdell has an expanded list of what is considered a qualified education expense in K through 12...similar to the list for post K through 12 for a 529 plan. Note #1: College isn't for everyone, but saving for your children's education can help get them started off on the right foot without incurring student debt. Whole life insurance is a form of life insurance that provides a death benefit for a person's entire life. Hence, the name "whole life insurance." With whole life insurance, the premiums that are paid accumulate a balance inside the account called "cash value." This cash value will grow over time and eventually generate a positive rate of return for the owner of the policy. If cash value is surrendered from the policy, then any gains will be counted as income to be taxed. However, cash value can also be removed in the form of a cash value loan which is not considered a taxable event. Furthermore, cash value whole life insurance pays annual dividends to policyholders. 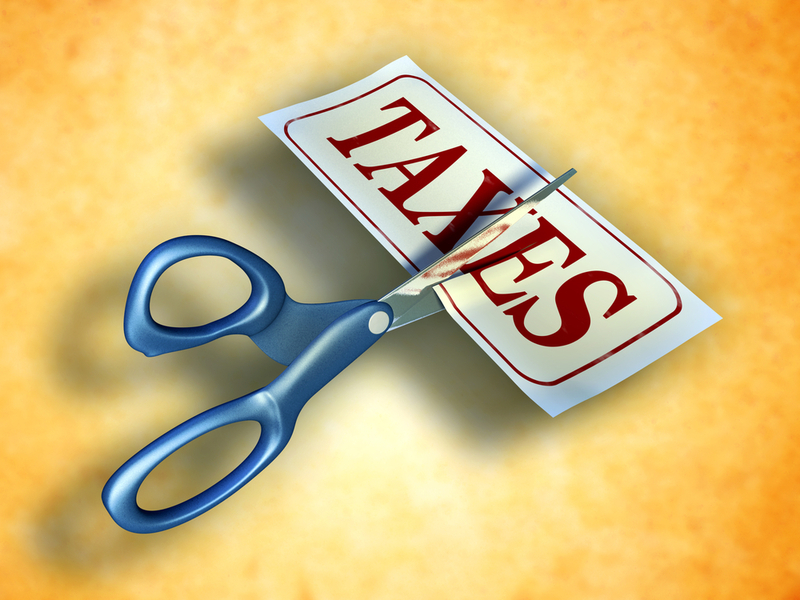 The IRS considers this dividend a return of premium and therefore is not taxable. If the dividends taken, eventually equate to more than the premiums paid, then the dividends become taxable at that point. Note #1: Cash value life insurance is bet purchased from a mutual life insurance company. These types of companies are owned by the policyholders and therefore, company profits are paid out as the dividend. Note #2: Cash value loans can be nuanced depending on the insurance company. Speak with your insurance agent to gain a comfortable understanding of how they work. Money contributed to an HSA is contributed before tax and when used for qualified medical expenses, is withdrawn tax free. This is the best possible tax scenario out of them all. In order to be able to contribute to an HSA, the person must be enrolled in a high deductible health plan(HDHP). If you leave a job where you had a HDHP, and have money in your HSA, the money can still be used for qualified health expenses. The person just won't be able to continue to contribute to the HSA without participating in a HDHP. Note #1: Savings inside an HSA can also carry into retirement and be used for qualified health expenses while in retirement. Note #2: If your employer doesn't offer an HSA with their HDHP, it is still possible/legal to contribute to an existing HSA or begin a new HSA. Charitable remainder trusts are an option for people with appreciated assets such as real estate or stocks with a low cost basis. By contributing highly appreciated assets to a charitable remainder trust, the owner of the assets being gifted gets an immediate income tax deduction relative to the size of the gift to the trust and other factors determine by actuarial tables. The capital gains for the highly appreciate asset is avoided along with income that continues to come from the asset inside the trust. At the death of the trust owner, or some other predefined point in time, the assets will transfer from the trust to the charitable organization specified in the trust. Note #1: The trust can be set up for one life, two life or term certain and this will affect the size of the tax deduction received. Note #2: The trust also provides income at the predetermined rate in proportion to the assets in the trust. The income that comes out of the trust to the trust owner is taxable. Real estate has made millionaires many times over. One of the reasons for that is the tax advantages of real estate. Many people are aware of the wealth that can be created with real estate, but few are aware of the tax advantages. The main tax advantage of real estate is depreciation. Depreciation is an expense that investors can use to reduce taxable income, but doesn't actually cost the investor anything. Depreciation is defined as the normal wear and tear that happens to real estate over time. Therefore, according to IRS rules, this is considered an expense that can be deducted against income. It is also known as a "non-cash expense." Note #1: When a property is sold, depreciation must be recaptured which can cause a big one time tax liability. That's why there's another tax advantage of real estate listed below. According to section IRC 1031 of the IRS tax code, when an investment property is sold and there is a capital gains tax liability, the capital gains can be used to purchase another property of 'like kind' and the capital gains taxes can be deferred to the next property that is purchased. The is huge in terms of being able to avoid taxes and put more money as a down payment on the next 'like kind' investment. Note #1: "Like kind" means that one is exchanging real estate for real estate. Other types of assets can be exchanged as well and so the IRS makes the distinction that only 'like kind' assets can be exchanged. Opportunity zones are economically-distressed communities where new investment can be made with deferred capital gains from other investments. These zones are certified by the Secretary of the U.S. Treasury via the IRS. Opportunity zones were put into place in December 2017 with the Tax Cuts and Jobs Act put in place by the United States congress and President Trump. To take advantage of these opportunity zones, one only needs to be willing to invest money into the opportunity zone...they don't need to live there. This tax benefit is a fairly new development but most of the questions can be answered on this IRS page. This is not an exhaustive list, but it a list of some of the main tax advantage investments available to United States citizens. Part of accumulating wealth of any kind is taking advantage of the tax breaks that are available. Check back over time for additions to this list.